Searching for a universality class near a quantum critical point, a precarious point of quantum instability between two competing phases, is a fundamental paradigm with emergence of exotic elementary excitations as observed in magnetic heavy-fermion materials, high Tc superconductors, one dimensional Ising spin systems, and Luttinger liquids. Meanwhile, topological orders with emerging gauge fields develop new ground states without symmetry breaking such as fractional quantum Hall liquids, quantum spin liquids, and etc. Ruthenium chloride, α-RuCl3, is a quantum magnetic system exhibiting both a symmetry breaking order and a topological order, and thus could be a candidate for a new universality class originating from interplay between two distinct types of ordering. In this study, we report a universal behavior in the dynamic spin susceptibility of α-RuCl3 obtained from inelastic neutron scattering, and derive a universal scaling law through theoretical model calculations for the elementary excitations near the quantum criticality. Our findings manifest that the quantum criticality of α-RuCl3 is a novel universality class, and provides a new framework to explore the quantum criticality involving the topology order. Ki-Seok Kim is an Associate Professor at the Pohang University of Science and Technology (POSTECH). He obtained his PhD in Physics from POSTECH in 2004 and was a post-doctoral researcher at the Korea Institute for Advanced Study (2004-2007) and the Institut de Physique Théorique (IPhT) at the Commissariat à l'énergie atomique (CEA) in Saclay (2007-2008). From 2008 to 2012 he was a Research Professor at the Asia Pacific Center for Theoretical Physics. Professor Kim's research interests center on the interplay between symmetry and topology in condensed matter systems. K.-S. Kim. 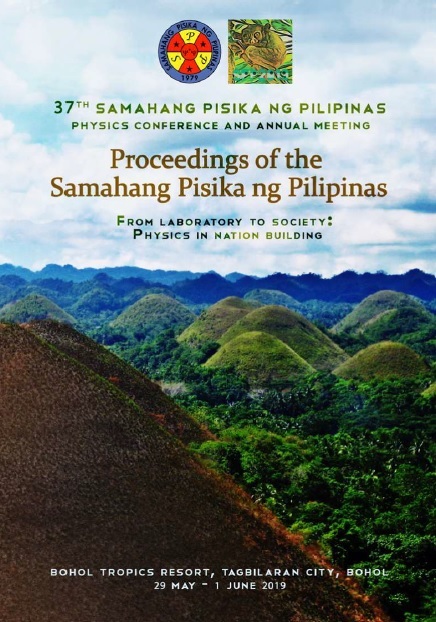 Quantum criticality and universal scaling in the Kitaev quantum magnetic system α-RuCl3, Proceedings of the Samahang Pisika ng Pilipinas 37, SPP-2019-INV-1A-02 (2019). URL: https://paperview.spp-online.org/proceedings/article/view/SPP-2019-INV-1A-02.